Let's start with possibly one of the most effective ways to declutter your iPhone and that is the 'Purchase one. Delete another.' rule. This rule means that every time you purchase an app - let's say the latest Zen game that everyone is talking about - you have to have a look through your phone and chose which current App to delete. I find that the majority of the time, I have no bother picking out an app to delete - it's usually a game or service that I haven't used in a while and won't really miss. And be brutal with yourself. I have this ethos when it comes to decluttering my home too - If you have to think about getting rid of it, get rid of it'; this basically means that any item that you give an 'umm' or an 'arrr' about doesn't deserve your time and should be eliminated. On the subject of deleting apps, having a rejig of your apps is just as essential. I will try and do this about once a month. I tend to look at each page and delete any apps that I no longer use or don't see any future use for and delete them (again, using my 'If you have to think about getting rid of it, get rid of it' maxim). 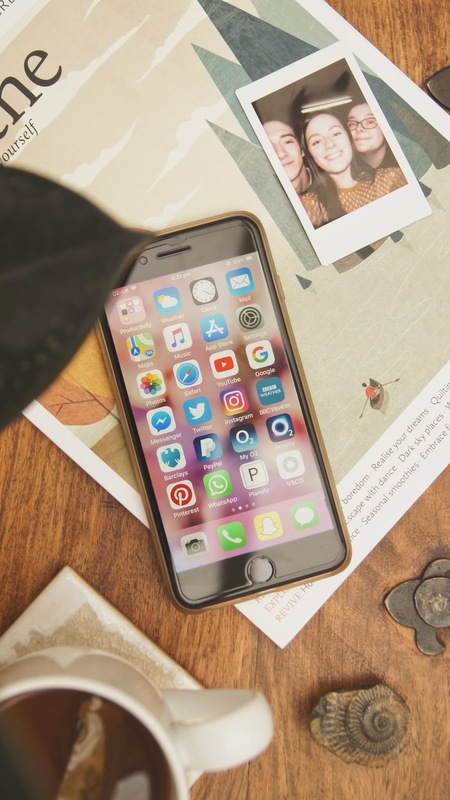 My first page is always dedicated to the most important and useful apps such as the main social media gang (Instagram, Twitter, Pinterest), my mobile banking apps, and the essential apple apps (such as photos, maps, music, ect.). Along the bottom of the screen, I keep the absolute essentials like Mail, Messages, Phone and Camera - keeping these along the bottom bar means that, whichever page I'm on, I always have access to them. And finally, having an iPhone 8 PLUS means that there's a lot of screen to get my little fingers around, so I like to keep the apps that I use close to my thumb in the bottom-right corner - you can call me lazy, but it really does make sense. According to thisiscompletelyfake.com, 1 in 4 of us have encountered a person who likes to brag about their phone being completely made up of folders in our lifetime. Of course, that's not quite true, but if you have and it irritated you too, then you'll understand my frustration. Some people can get far too carried away with Folders and, in fairness, it's quite easy to do. They keep everything looking neat and categorised however they also do a good job of filling up your iPhone space. Yes, you only have 2 pages of Apps on your phone, but if it's because the 1st page is made up of double-page folders, then you're just as bad as the next person. Apps can often get lost and forgotten about in the folders and, to be honest, it's not really making your life easier if you have to click and scroll through all of your health apps before you come to the one you need. Here's a test for you: Without looking at your phone, name all of the apps in one of your folders. If you can't name them all, then you clearly need to dig that folder out and have a lil' rejig. 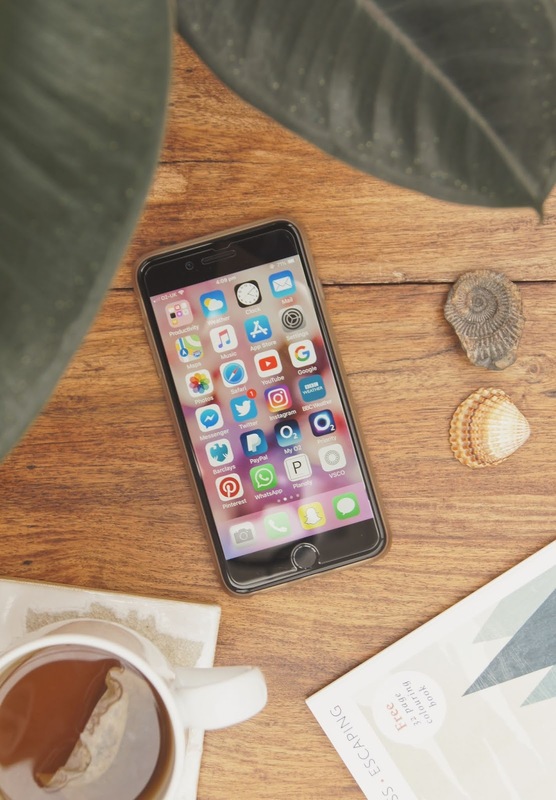 The apps may still be of use to you but, if they're in that folder, hidden away in the depths of Apple tech, then you might want to consider dragging them back out and letting them be free in the open air of your screen. This one is something that SAVED MY LIFE when it came to whittling down 2,000 unread emails to 0 and when I was forced to scour through photos and delete some to save my iCloud storage. USE SEARCHING. So many people don't even know about this - especially on photos. If you go into photos and search for something, e.g. "Flowers", it'll bring up all of the images on your device that the system identifies with having flowers in them and, if you no longer need them, you can delete them. Similarly, if you are wanting to declutter your Mail, this is just as effective. Say you know that you get emails from Pinterest that you don't really need to read (but you don't want to unsubscribe from them completely) then search "Pinterest" in Mail and delete from there. Go on and on doing this until you're done. This is how I managed to go from 2K unread emails to none in about 15 minutes. It's so easy and more comprehensible to your mind than it is when starting at a black (or blue) hole of 'unread' dots. Together we can beat the 'Storage Almost Full'. How do you declutter your iPhone? Urgh, the storage almost full message is the WORST!!! Searching to delete photos is such a handy tip though!! I'm exactly the same - for some reason I had 3 different types of Suduko Apps for when I went through a phase of playing it for a week so I had to get rid of those haha! I always sacrifice one app for another and it is so effective too! You shared some great tips, I will definitely be using them!